The Circuit Court has been hearing details of an application by Tipperary TD Michael Lowry against journalist Sam Smyth under Section 23 of the Defamation Act. The former Fine Gael minister claims that he was defamed by Mr Smyth in an article published in the Irish Independent last May, and then again on the Tonight with Vincent Browne programme on TV3, which was broadcast the following month. Mr Lowry says that Mr Smyth's assertions portrayed him as corrupt, dishonest and untrustworthy and both unfit and unsuitable to be a minister or a TD. He said that other people had taken this same meaning from Mr Smyth's comments. 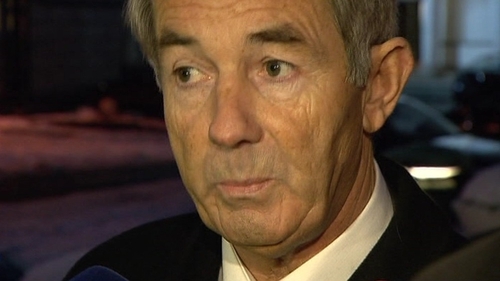 Mr Lowry says the comments were false and as such were deeply offensive and defamatory. Mr Lowry is seeking that the court make a number of orders including that Mr Smyth apologise, publish a correction and refrain from making such public comments in the future. However, Mr Smyth is arguing that the comments made by him were true and represented his honest opinion. He said that they were fair and reasonable comments on a matter of public interest. He also pointed out that Mr Lowry had been offered and availed of a right to reply on the lead page of the Irish Independent last May.